I would like to enter this card in the FSC current challenge of "All things Feminine". Stamps used are from Stampendous and Graphic 45. Thankyou very much for viewing my card. Oops meant to add the FSC bit. Hi Judy. I love the addition of the feathers on this card! Very classy, and so very feminine! 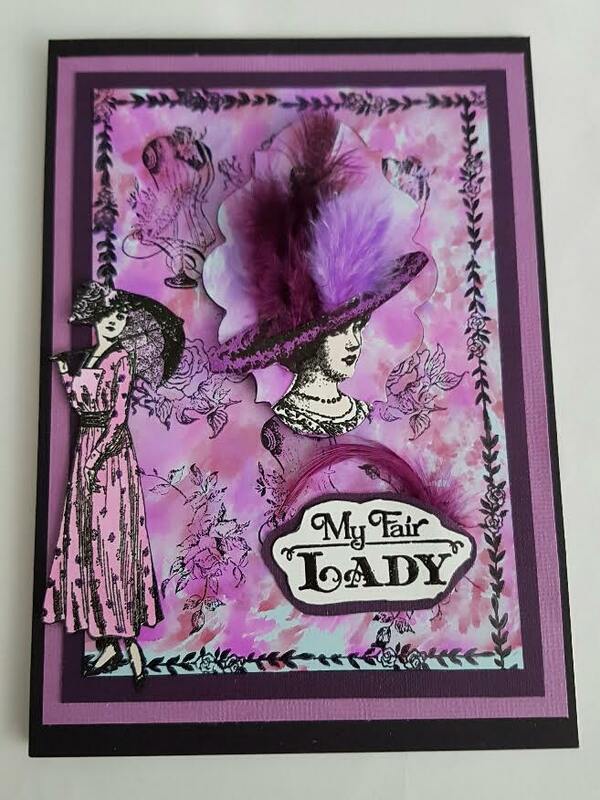 Another fabulous and very feminine card, love the added glamour the feathers add.